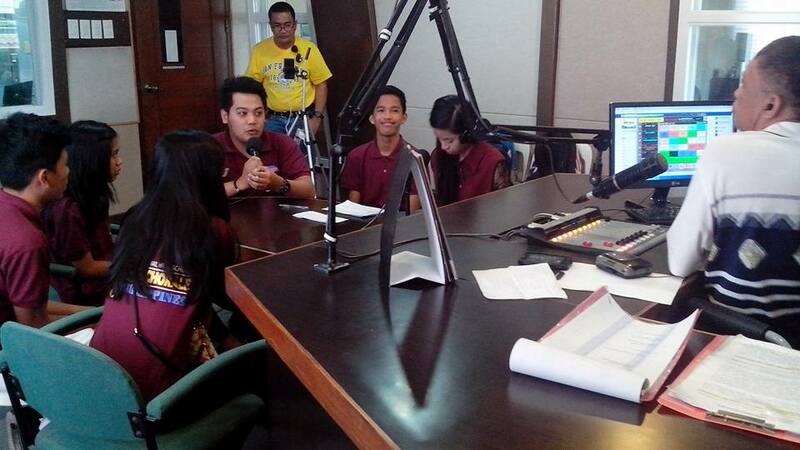 Legazpi City - One of the Bicol’s pride, the Ligao National High School Voice Chorale, who won a grand prize of $20,000 in the 12th Busan Chorale Festival & Competition in South Korea, performed in DZGB during the weekly program “APRUB”- (Aprubadong Bikolano) on November 5, 2016. 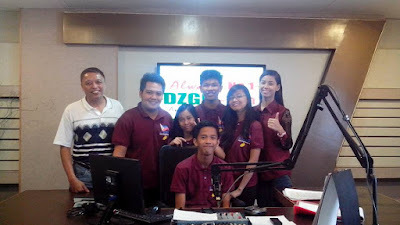 News ManagerMar Dela Cruz and Maribel Boral interviewed four of the 22 member choral group namely: Resse Bonapos, Grachel Mae Lopez, Adrian Pamoso, Christian Kim Ofemia and their coach/conductor Celger Venzon, who is also a product of DZGB’s Search for the Golden Voice in 2008. They shared their beautiful experiences and insights to include the values that propelled them to stardom like discipline, respect and humility.